Since MeBO Research’s inception four months ago on July 12, 2009, it has made every effort to stretch its very limited financial resources to carry out scientific study involving persons who suffer from body odor conditions. In our initial research effort, the MeBO-Biolab Gut Dysbiosis Study, we have already tested two volunteers, and are currently testing the third. 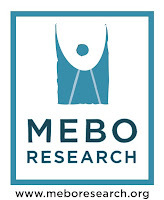 In addition, MeBO is initiating a ‘thorough case study’ of another volunteer, as noted in our previous post in this blog, More about the MeBO-Biolab thorough case study in systemic body odor and/or halitosis. These studies have been carried out under the supervision and advisement of MeBO’s expert, Dr. Irene Gabashvili , who has graciously dedicated her pro-bono services, and continues to generously offer her time to compile and organize MeBO’s test result data to later present its patterns along with her interpretation. We are also grateful to Biolab Medical Unit in London for allowing us to do the study by using their tests, and all their other cooperation. How has MeBO paid for all this? Where have the funds come from? This study has been supported by Dr. Gabashvili and Biolab's help, sufferers donations both in the US and the UK, and by volunteer testers footing their respective testing costs. Without all of this generosity, MeBO would not have been able to gather data of test results, which has not only been of personal valuable to those tested, but also to the community as this information can potentially be used for future research. As more test results become available with notable patterns, they will be analyzed, interpreted and presented by Dr. Gabashvili in this blog and in MeBO’s website. It is MeBO’s next aim to extend this Gut Dysbiosis Study to be carried out in the United States by the first part of 2010, and eventually to other countries, making this an international effort.